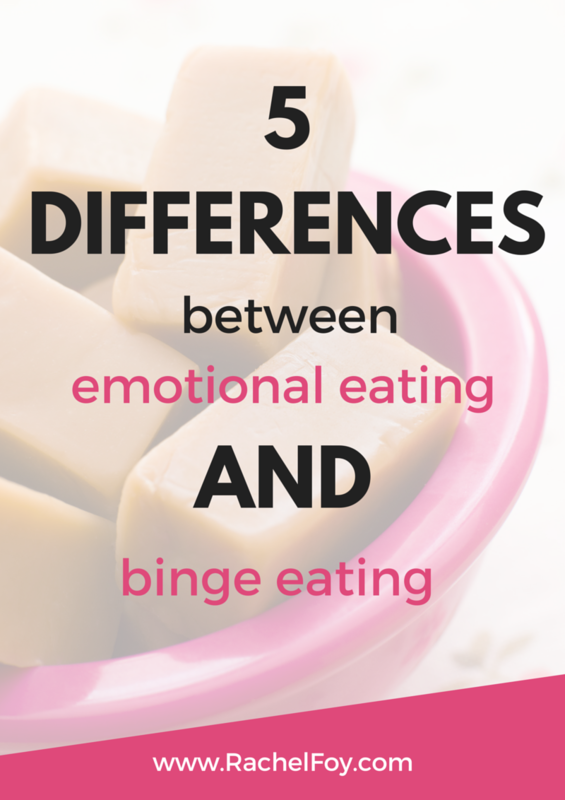 I often get asked what is the difference between binging and emotional eating and if there is a difference why is it important to know?? So here is what I think. I do believe there is a difference between the two although they often happen at the same time and overlap in terms of what they are about. Having said that, it’s still using to have an understanding of what’s going on as this gives you information to start using towards putting an end to that behaviour. 2. Binging can occur when someone is on a traditional diet (ie restricting food or following a program which restricts food) or it can occur in someone who isn’t currently dieting but does have diet mentality. Such as ‘I can’t have chips with that as I’m trying to be good’ or ‘I’m not having a biscuit with my tea as I want to be careful’. 3. Almost always there is an underlying need to control weight in bingers and emotional eaters. When someone binges there is a big association with falling off a diet and with emotional eaters there is often a lot of shame and guilt with their behaviour, implying they have imposed rules on their food and are judging their behaviour. 4. Emotional eating is all about trying to change how we feel. Food is not the answer. However, food often becomes the only coping strategy for many women as a way of dealing with life. In the long term, this strategy will not work. It will only lead to more upset, shame and guilt on top of the original feelings which triggered the emotional eating the first place! 5. Both emotional eating and binging often are associated with some really heavy and heard to handle feelings particularly GUILT, SHAME & EMBARRASSMENT. If you ever find yourself eating and notice you feel one or more of these, the chances are that you have been eating emotionally with perhaps binging too. Well whether you are an emotional eater or a binge eater, or perhaps like how I used to be, both(! ), there is something you can do. Despite what you might think right now, there is a way out of this cycle. It’s not a quick fix and not something which is always easy, but it is possible to get out. You stop dieting, you stop restriction, you work on body image and find out what other strategies work for coping with life and gradually things improve. The very first place to start is stop thinking of food as good and bad. This is challenging for many of us as for the diet-junkie we start to believe that dieting keeps us safe and in control (more to come on that in another blog post). Breaking diet rules can be scary BUT the dieting is actually the cause of this cycle in the first place. Come over to Ditch The Diet Revolution, our private facebook community to ask your questions, receive support and advice.